Gianpietro Dotti, MD, was named co-leader of the SU2C Meg Vosburg T-Cell Lymphoma Dream Team. Stand Up To Cancer today announced it has awarded an $8 million grant to a top team of scientists to develop therapies that use a person’s immune cells to recognize and attack T-cell lymphoma, a group of rare cancers of the blood and immune system. Helen Heslop, MD, of Baylor College of Medicine, will direct the team and the University of North Carolina Lineberger Comprehensive Cancer Center’s Gianpietro Dotti, MD, will serve as co-leader. The SU2C Meg Vosburg T-Cell Lymphoma Dream Team will develop and study chimeric antigen receptor T-cell (CAR-T) therapies, which involve modifying a person’s immune cells to treat T-cell lymphoma. The team is named in memory of Meg Vosburg, a lifelong learner, educator, and humanitarian, who died from T-cell lymphoma in 2018 at the age of 51. The multi-institutional Dream Team includes six researchers from UNC Lineberger: Anne Beaven, MD, investigator; Gianpietro Dotti, MD, co-leader; Paul Eldridge, PhD, investigator; Natalie Grover, MD, young investigator; Joel Parker, PhD, investigator and Barbara Savoldo, MD, PhD, investigator. Patty Spears, who chairs the UNC Lineberger Patient Research Advocacy Group, was appointed as advocate. The team’s other members are from the Wake Forest Baptist Medical Center Comprehensive Cancer Center, Baylor College of Medicine and the University of Texas MD Anderson Cancer Center. SU2C made the announcement at its 2019 Scientific Summit in Santa Monica, California. CAR-T therapy is usually custom-built for each patient. The team is trying to find a way to develop CAR-T therapies covering the entire spectrum of T-cell lymphomas including an “off-the-shelf” basis so they will be available to more patients at lower cost. The team is also working to identify biomarkers that will help track the effectiveness of the therapy, and is evaluating a novel small molecule that shows encouraging activity in reducing the size of T-cell lymphomas. Dotti said the Dream Team brings together scientists who have significant experience in conducting translational research, a strong history of collaborative research and a shared commitment to rapidly implementing novel therapeutic strategies for T-cell lymphoma. 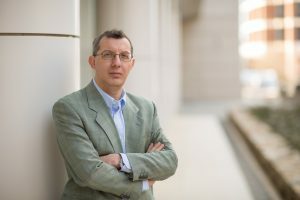 UNC Lineberger is one of a select few academic medical centers in the United States with the faculty and facilities to identify new therapeutic targets and design, develop and deliver CAR-T therapy to patients. The cancer center recruited Dotti and Savoldo in 2015 to help lead its CAR-T program, and it currently has designed and opened five CAR-T clinical trials. SU2C, a division of the Entertainment Industry Foundation, was established in 2008 by film and media leaders to utilize the industry’s resources to engage the public in supporting a new, collaborative model of cancer research, and to increase awareness about cancer prevention as well as progress being made in the fight against the disease. 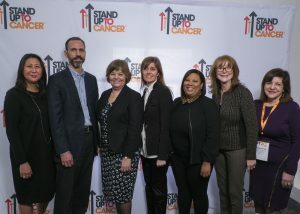 As SU2C’s scientific partner, the American Association for Cancer Research and a Scientific Advisory Committee conduct rigorous, competitive review processes to identify the best research proposals to recommend for funding, oversee grants administration, and provide expert review of research progress.